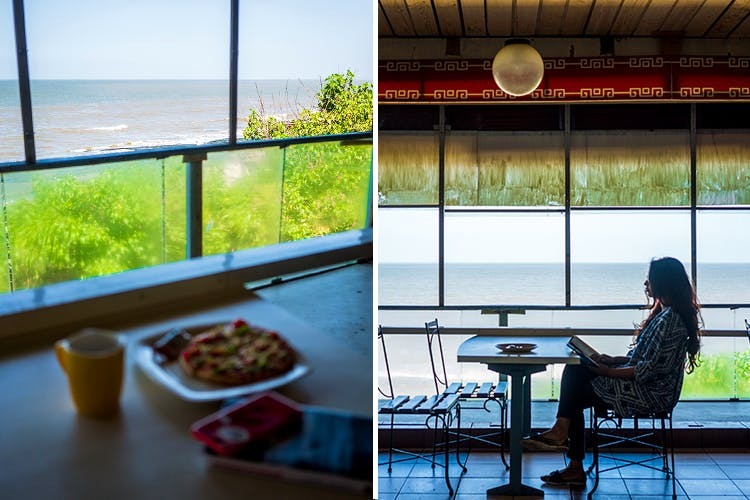 Have You Been To This Gorgeous Little Seaside Cafe Near Bandra Fort? A café near Bandra Fort allows you the best seat in the house – right by the sea. Café Sea Side has been around for years, and you may remember it from the family visits to Bandra Fort. It’s still around, and for those who haven’t been, have a beautiful, uncurtained view of the sea through their window. On their menu, they have a bunch of Chinese dishes, and at certain times they have chaat like pani puri, pav bhaji. Most people go their for just a sandwich and the view of the water. Although Café Sea Side definitely won’t be receiving laureates for its food, it does win with the vacation. Go there with a book, grab the bench by the water and enjoy the breeze.